Rick Perry (the Ricker) is a serious about making another run for the White House. The writers for Jimmy Fallon and Jimmy Kimmel are rejoicing. This is going nowhere frankly. Ricker had his chance in 2012 and he blew it. When he entered the race in August 2011 Perry was an instant contender. In reality this had little to do with him and everything to do with the GOP’s unease with Mitt Romney. In 2016, Republican voters don’t have unease about their choices so Perry won’t have that to benefit from. Don’t look for Perry to last long and he’ll be lucky to get beyond Iowa. Last week Mitt Romney spent Tuesday night and Wednesday calling successful GOP candidates. Is this a sign he wants one more shot at the White House? The last person to be a party’s nominee and lose who was able to come back and actually win the White House was Richard Nixon. That was a long time ago politically and it comes to determination Mitt Romney is NO Richard Nixon. Ohio Senator Rob Portman is considering a run for the White House. The former Congressman, Trade Rep, and Budget Director for George W. Bush (not that I’d brag out that one) certainly has the experience to do the job. Of course having a long resume usually gets you el zippo in the Presidential primary process. You can ask Bill Richardson and Lamar! Alexander if you don’t believe me. Would he be a formidable general election candidate? Yes if only because of his ability to make Ohio competitive. Could he make it through the primary? Really doubt it. 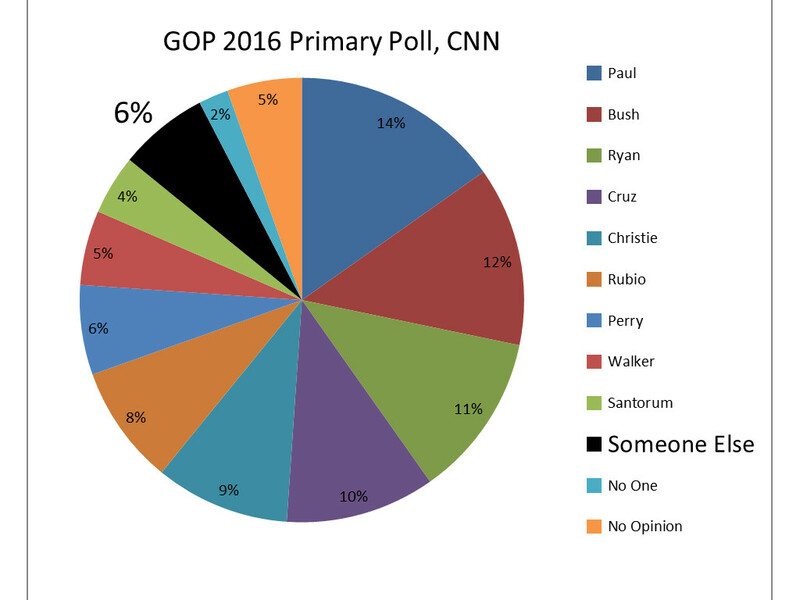 Among the Bush wing of the GOP he is at least third behind Christie and Jeb Bush. If Romney runs again he could even be fourth. That alone makes fundraising really hard. Given Portman’s connection to the Bush administration, Portman will never be Tea Party guy. Of course, Portman would gather some attention just because he has a gay son and during debates over social issues that would certainly come up and add some spice to the debate. The GOP has clearly learned its lessons. The party is making a great break with the past and is marching into the future. Really? When you find out that Mitt Romney is in demand as a party surrogate in for the fall campaign it makes you think that isn’t necessarily true. I get that some people in the party still like Romney and his talk about Russia looks very clairvoyant now but is this really who the GOP wants to associated with? Of course Willard won’t run again. He knows he wouldn’t even get the nomination this time. But still for a party that needs a fresh start why they want this guy to hang around is beyond me. The Supreme Court did the impossible on Monday. They actually found a way to close Chris Christie’s yapper. Wow. I am impressed. 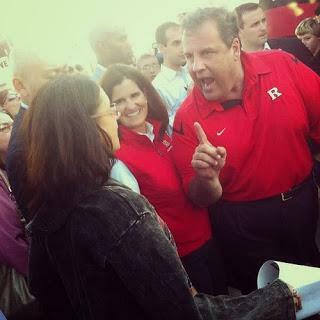 Here is Christie’s reaction to the Court’s contraception ruling yesterday. Want to shut me up? Put on a judges robe. Of course Cruz was not alone in his praise. The FOX News Channel acted like they had just won the Super Bowl and swept the Emmys all on the same day. Maybe Christie’s lack of a response shows the tension many Bush Republicans feel these days. While it is easy to throw the base a bone on this ruling there is a flip side that if the country is still debating this in 2016 many suburban moderates will be turned off to the GOP. Look no further than Virginia and Ken Cuccinelli to see how these kind of social issues can bit the GOP even when they face weak Democratic opposition. But can Christie, or really any potential nominee get away with being silent on these kind of issues and rulings with today’s GOP? So many people in the party, especially at the activist level believe Romney lost because he didn’t take the fight to Obama (I guess that whole first debate thing was just an illusion). Will they be welling to put up with someone who remains quiet or will they demand someone who storms the brigades and leads them to the glorious victory they know they’ve always deserved? You really don’t have to think too hard to see which way that one is going.